Monrovia (AFP) - A football superstar, a former warlord and a soft drinks millionaire have thrown their hats into the ring for the post of Liberian president as Africa's first elected female leader prepares to step down. A dizzying array of candidates have lined up for the October poll to replace Nobel Peace Prize winner Ellen Johnson Sirleaf. She leaves behind no obvious successor after serving an unbroken decade in the job, a constitutional maximum of two terms. Her replacement will have to prove they can keep the peace in a country whose lengthy civil war ended in 2003. "It is still too early to identify a frontrunner," Raymond Gilpin and Dorina Bekoe of the Washington-based Africa Center for Strategic Studies said in a joint email. "Successful candidates will have to prove that they can succeed where many believe President Johnson Sirleaf and the Unity Party failed: tackling corruption, delivering a more robust peace dividend, rebuilding and strengthening various aspects of the security sector." So far 11 candidates have registered -- including an ex-model, a central banker and career politicians -- along with wildly popular footballer George Weah, to give the election a uniquely Liberian flavour. 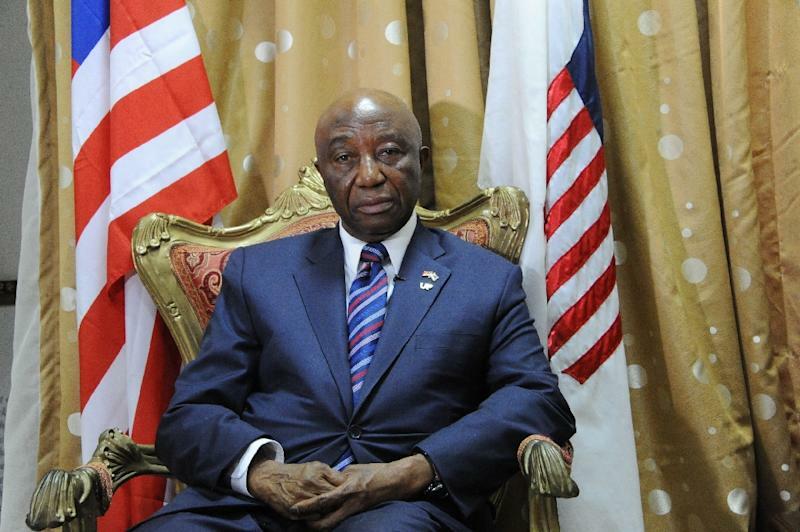 Also on the list is Sirleaf's vice-president Joseph Boakai, 72, although she has given him only tacit support. "I have tested the water and I know that I have a very good chance," Boakai told AFP. "(Voters) know who people are. They know their past record." Boakai believes voters will make allowances for Liberia's ongoing problems given the state of the nation the government inherited from the ashes of the civil war. "We have everything that it takes to develop this country. What we need to do is the proper management of these resources to make sure that it trickles down to its people," he added. Liberia has plentiful iron ore and palm oil reserves, but has struggled to filter the proceeds back to a desperately poor majority, for whom basic education, electricity and running water are a rarity. The west African nation was the hardest hit by the Ebola epidemic, which savaged its finances and took the lives of many overstretched healthcare professionals before ending in early 2016. For the stuttering economy, Liberians might look to the steady hand of former central bank governor Mills Jones, and for those seeking a long record of public service, Charles Brumskine, 66, of the opposition Liberty Party. Other Liberians hope to elect the country's second female president, but a sole woman is running this time around: MacDella Cooper, a fashion model turned philanthropist whose eponymous foundation works with disadvantaged youth. 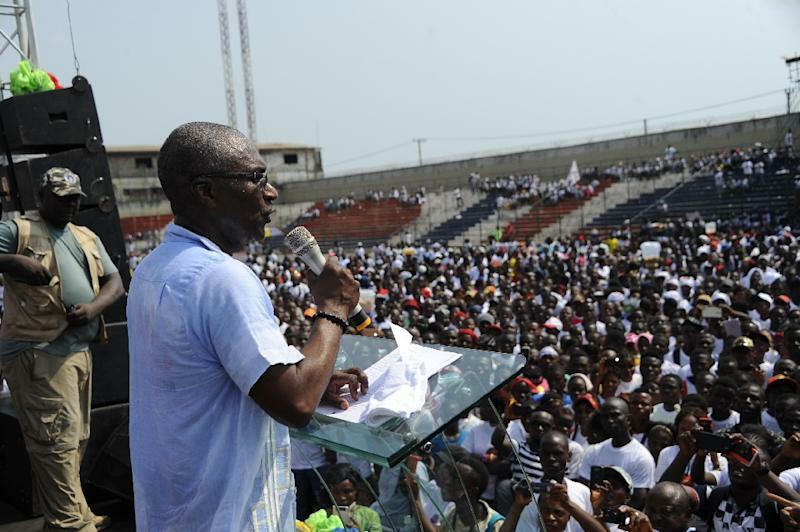 In Liberia, presidential candidates run US-style campaigns with a vice-presidential running mate. Among the more unusual combinations are footballer turned senator Weah, 50, who is running with former president Charles Taylor's estranged wife Jewel, 54, also a senator. Weah has vowed to make education a top priority, particularly vocational training, along with addressing Liberia's wrecked post-Ebola health system. Charles Taylor, once Liberia's most feared rebel fighter, is serving a 50-year sentence in a British jail for his role in fuelling neighbouring Sierra Leone's own long civil conflict. Weah lost against Sirleaf in 2005, and his choice of running mate is seen as savvy in a nation where Taylor's former acolytes still wield significant power from the sidelines. They face stiff competition from Senator Prince Johnson, a onetime rebel fighter filmed drinking beer during the notorious murder of former president Samuel Doe in 1990, who has joined forces with tycoon Benoni Urey. Elsewhere, millionaire Coca-Cola executive Alexander Cummings, 60, is building a reputation as an outsider with much-needed expertise beyond politics, relying heavily on his corporate record. In charge of a customer base bigger than Liberia's population and a budget exceeding the country's national spending, Cummings grew Coca-Cola's Africa division before heading its administrative operations across 200 countries. "When the price of iron ore and rubber are high we do well and when these prices drop we crumble," he told AFP, saying he plans to turn around Liberia's woeful economy by investing in agriculture to diversify its revenue streams. "Unless we create jobs for our young people, I think we have a national security risk. The rate of under-employed and unemployed Liberians is very high," he said, calling for vocational training programmes and increases in teachers' salaries. Cummings says he envisages two central planks of reform: an aggressive privatisation programme and a corruption crackdown to free up taxpayers' funds too often siphoned off into officials' pockets. Analysts agree that the economy and corruption are two key election issues. "Corruption persists, crime rates are unacceptably high, poverty has deepened and the benefits of post-conflict economic growth only appear to benefit a few," said Gilpin and Bekoe.